The Defense Advanced Research Projects Agency (DARPA), US government body, and NASA have teamed up to build robotic satellites that can refuel and repair friendly satellites. According to a report in Futurism, these robotic satellites, known as “service stations in orbit,” would drastically improve the longevity and lifespan of satellites. These robots could fix minor maintenance issues, keeping up with current orbiters as they age and sustain damage. Till now, we didn’t have the ability to repair the satellites, so billion dollar satellites not only cause issues but have to be replaced which is both difficult as well as expensive. But now due to the partnership between NASA and DARPA, the service station would serve as a repair bots. NASA and DARPA are teaming up to build satellites that sabotage enemy satellites in the event of war, apparently by dismantling opponents or forcing them to crash.These satellites could play a defense, monitoring for tampering, the report stated. In 2015, there were about 25,000 human-made objects larger than a human fist and roughly half a million larger than a dime orbiting Earth. Putting objects into orbit and then replacing them is not only astronomically costly but also pollutes the orbit. It makes more sense to repair, maintain and update satellites. Hence we hope that these service stations will help our orbit pollution free. 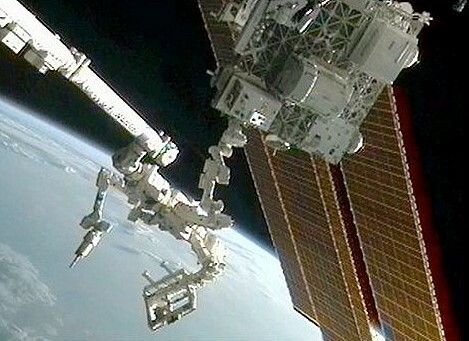 NASA And DARPA Partners to Build Robotic Satellites To Repair Friendly Satellites 0 out of 5 based on 0 ratings. 0 user reviews.